It is quite a confusing job to ensure the safety of kids when you are traveling in the car. Parents are always wondering when their babies are ready to be seated in the front seat and whether babies should have a safe ride or not. If you are among those parents, you should know there are a variety of seats to choose from like booster seats, combination seats, convertible seats plus the seats that are equipped with special detachable pillows and cup holders. And No one can ignore the car seat laws that keep on changing and differ from state to state. Do not freak out we can totally help you understand most of it. In almost every other case the answer shall remain: until you child reaches the age of 13 he should not be seated in the front seat. Safety Belt Safe U.S.A. suggests seating your child in the backseat until he’s old enough to drive himself. This is because riding in the backseat is much safer for children than riding in the front seat. The risk rates of colliding decrease when you buckle your child on the back seat. If your children are sitting on a front-seat, they can be thrown through windshield or into the car’s dashboard. Washington, South Carolina, Rhode Island, Oregon, California and Arkansas, all have enacted the laws according to which children who are below age 6 or children with weights below 60 pounds must ride in booster seats or appropriate cars. A law was enacted by New Jersey according to which proper restraints were required for kids with weight below 80 pounds and age under 8 years. When a child is in the front seat, you should shut off the air bag if possible.Consult the car dealership guys or specialized companies and have the airbag switch installed in your car. You will need government’s say-so before installing the airbag on-off switch. Kindly note that there’s still a possibility of deploy even if the airbag is switched off. In case passenger airbag cannot be disabled then seat your child with complete harness which is far more securely restrained in a car that’s front-facing. Try moving your child’s seat as distant as possible from the dashboard. Ensure that the shoulder belt is low and snug across the chest and the lap belt over the hips. Avoid buckling the shoulder belt under the arm or behind the child. In case your child is too small to be buckled up (i.e. if he is below 145 cm) then he must be seated in the booster seat instead. There shouldn’t be any object between your child and the car door. In case the side airbag inflates harm can be caused to your child even by pillows, blankets and toys. Keep checking the position of your child throughout the car ride. According to the law in most states, the child must be put in the car seat. It is a necessity declared by all 50 states that the child who is up to 18 months old must ride in the car seat and most of the states have declared it compulsory that the child must be seated in the car seat until he’s 3 years old. According to studies, children who do not ride in car seats are four times in more danger of getting injured during a car crash not to mention the parking lot fender-bender. The center of the rear seat is the best placement position for a car seat. This provides protection against the side-impact crashes. Employ the tether system if you can. Some front-facing car seats are equipped with the top tether that makes the installation more secure and easier. The manual instructions must be read carefully before the car seat installation. You have to ensure the tightest fit for a more secure car seat. Place the seat where you want it to be positioned, carefully thrust the seat downwards by using your hands, and then buckle up the seat belt in the appropriate slots of the car seat to ensure there’s no slack. To know if the placement has been done accurately, tilt the seat towards the sides and front of your vehicle by holding the upper top of the car seat. Either the harness straps are too loose or too low. Avoid doing this common mistake. Make sure there’s no twist in the straps. Also ensure the belt has been buckled in the correct slots. To know if you have carried out all steps accurately, take the help of Buckleup Car Seat Checkup. Adopt this technique for every time you ride and come up with a mode that’s convenient and simple so that it becomes automatic. For example, if you own two cars then place a car seat in each car because in that way you will save yourself from dragging a single car seat from here to there. The car seats available in the market are equipped to meet the standards of US safety law. But it’s not the same for car seats that are a secondhand purchase or have been bought a couple of years ago. Therefore, the safest car seat is the one that fits your car, suits your child and is easy for you to use. 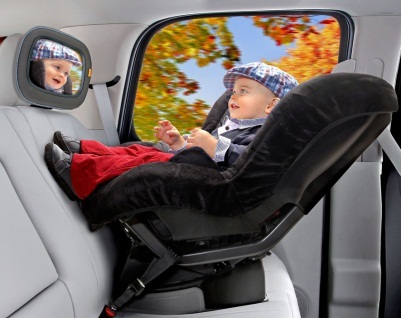 These front-facing seats are equipped with safety harness that may be removed when there’s no more use of it for your child, or when his weight exceeds the harness limit. However, best protection is provided by harness, so use it as long as your child requires it.